Taco 'bout a festival! 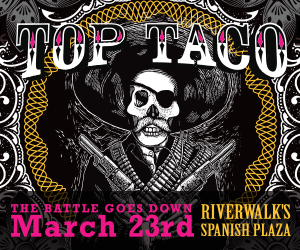 … Get your bellies ready for New Orleans's inaugural taco and tequila festival taking over The Outlet Collection at Riverwalk's Spanish Plaza on Thursday, March 23! The Top Taco Festival, presented by the Paddlewheeler Creole Queen, is the Crescent City edition of Top Taco in Denver and is brought to us by local restaurateur Shane Finkelstein of Nacho Mama's. It'll be an evening to tip back your sombrero and sample food and cocktails from over 40 restaurants and bars all over the city including Johnny Sanchez, Blue Oak BBQ, Lucy's Retired Surfers Bar & Restaurant, Juan's Flying Burrito, Superior Grill, Patois, Jacques-Imo's, Mizado, and more. Master mixologists will be creating cocktails with spirits like Don Julio, Milagro, Casa Noble, and Ghost Tequila, while guests boogie to the rhythms of Los Poboycitos and Otra. The festivities will also include crowning winners in four categories: Top Creative Taco, Top Traditional Taco, Top Creative Cocktail, and Top Traditional Margarita. Plus, with VIP tickets, you'll be treated to the best in taco and tequila tantalizations with creations from Vincent's, Cowbell, Chiba, Horn's, Tracey's, and Midway, not to mention incredible confections from talented pastry chef Eric Perelli of Brennan's. Veggie swag? 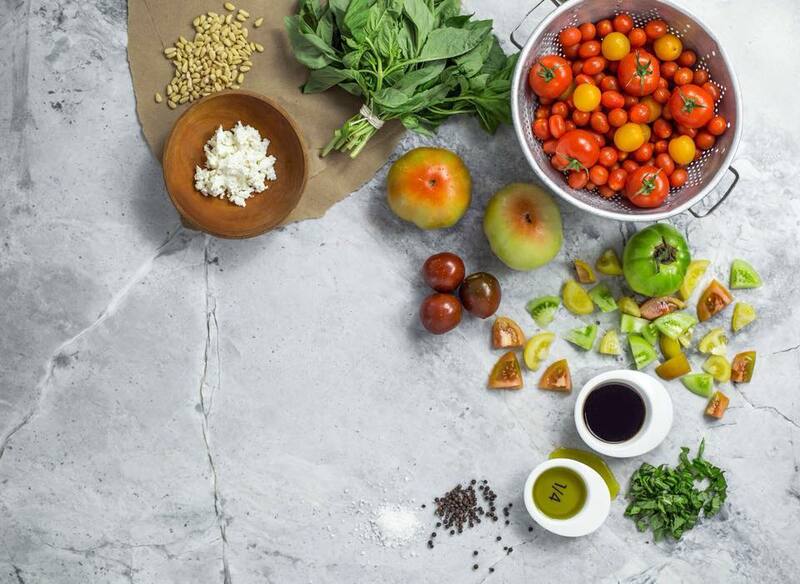 … Though they aren't giving it away for free, health-conscious SWEGS Kitchen recently opened yet another location in Mid-City on N. Carrollton Avenue. SWEGS, an acronym for “Small Wins Equal Great Success,” has taken a holistic approach to food with a menu created by chefs, nutritionists, and physicians in order to offer the most healthful options for those “on-the-go.” Along with sandwiches, wraps, soups, paninis, and salads, SWEGS also offers burgers ... well, sort of ... in the form of turkey or black bean mushroom, several pizzas on gluten-free crusts, BBQ Shrimp and cauliflower grits, turkey meatballs and “zoodles” (zucchini noodles? ), and roasted sirloin with kale chimichurri. You can stop in and grab a plate or two to go, or order meal plans for regular delivery. 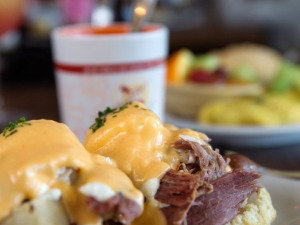 Munchin' in the LGD … Popular Gentilly restaurant The Munch Factory has pulled up stakes and moved to the Lower Garden District, taking over the space that once housed Cafe Roma. 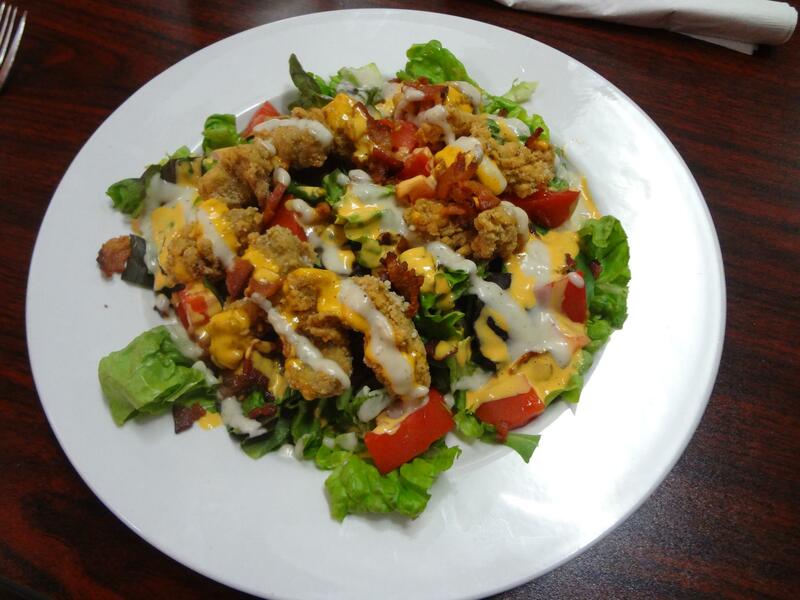 Though it may be a sore loss for the already poor restaurant options in the Gentilly neighborhood, folks in the LGD are jumping for joy to have proprietors Jordan and Alexis Ruiz slinging their Creole-inspired fare so close to home. Dishes definitely worth checking out include their seafood gumbo, Bayou Fries with roast beef debris and gravy, a hot sausage patty melt, and Shrimp Remoulade with fried green tomatoes. Goodness gracious! 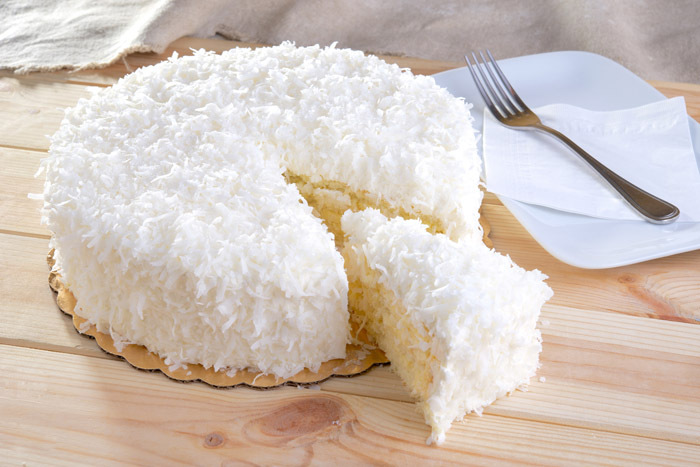 … Gert Town sensation Gracious Bakery just opened a third location on the corner of St. Charles Avenue and Sixth Street in the space that formerly housed long-standing sandwich shop The Grocery. The menu for the corner shop will include everything diners love at the original location including a new emphasis on regional craft beers, liquor, and wine. Along with excellent breakfast and lunch sandwiches, freshly baked breads, and scrumptious pastries, the new Gracious Bakery will offer their stellar king and queen cakes for the rest of the season. Make it a double … Bayou Burger & Sports Company is charging into the new year with a second location on Magazine Street (the first opened back in October 2016 on Bourbon Street) in the corner building once occupied by Salú. 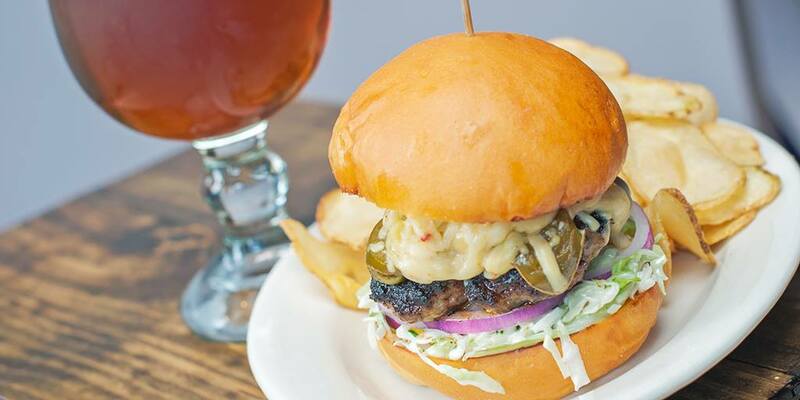 Essentially a sports bar with a multitude of flat screen TVs and plenty of beer, the restaurant's main attraction is, obviously, their burgers. Try “The Rodeo” with thick-cut bacon and sweet BBQ sauce, “The Sportsman” featuring a venison patty and bacon jam butter, or “The Fairway” with a bean veggie patty and Bayou sauce on a multi-grain bun. The menu also offers a huge array of appetizers like wild boar ribs; Borracho bean dip loaded with cheddar cheese; and “Skillet Fries” in the form of either thick cut, kettle chips, tater tots, or sweet potato, with three different kinds of toppings. 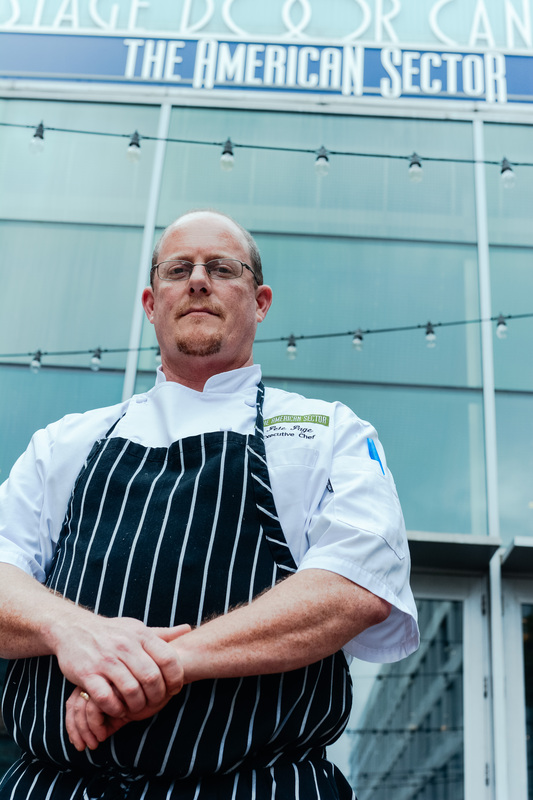 New recruits … Warehouse District eatery The American Sector, located inside The National WWII Museum, recently tapped Peter Page as their new executive chef. Hailing originally from the Midwest, Page has years of experience under his belt cooking in Oklahoma, Colorado, Kansas City, New Orleans, and other cities along the Gulf Coast. Chef Page’s local spots include the Ritz-Carlton, Royal Sonesta, and John Folse's Plantation catering and banquet facility at White Oak. “Chef Peter is enthusiastic and creative. We know he will continue the traditions The American Sector has started but bring new and exciting ideas, too,” stated General Manager Michelle Margarido. The American Sector also hired Charles Hoffman as executive sous chef to work alongside Page. Hoffman's experience includes working as an interim executive chef and food & beverage director at The Sea Ranch Lodge in Sea Ranch, California, and as chef de cuisine at the Maison Dupuy Hotel, Toups' Meatery, Mondo, and Palace Café.